Aamir Khan Dangal 4th Day Collection Monday Total Box Office: Aamir Khan film had an awesome 1st weekend at the domestic box office, the flick collected Rs 64.60 crores in two days, soon i will add 3rd day final report. Director Nitesh Tiwari and Aamir Khan has given an awesome movie and after a long time Bollywood movie got a good review from audience as well as from critics. 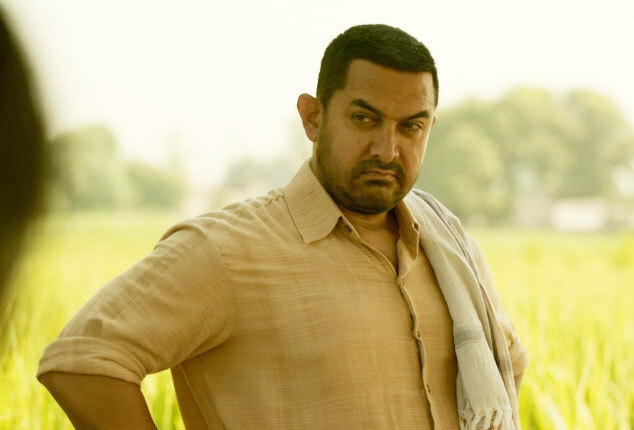 Dangal 4th Day Collection Report:The film is based on the real life of former wrestling champion Mahavir Singh Phogat and his daughters Geeta Phogat & Babita Kumari. The movie story is very impressive and inspiring as well. It is getting a huge appreciation and word of mouth from audiences. Entire cast has performed brilliantly, especially Geeta Phogat & Babita Kumari. As per early reports, the movie has collected total 100 Crore in 3 days at the domestic box office. Due to its strong story, cast and content, the film has received positive word of mouth, reviews and rating from critics. These positive reactions have generated a wave, which made it to cross the mark of 100 crore in just 3 days at Indian box office. Dangal 4th day collection is expected to drop, but due to Christmas and December holiday, the movie is expected to collected total Rs. 15 Crore. On first day, the movie recorded an awesome occupancy of overall 90% and collected total Rs. 29.78 crores, which is 2nd highest opening day income of the year 2016 after "sultan". On Saturday 2nd Day the movie got an awesome occupancy and overall all theaters and multiplex was houseful and it fetched total Rs. 34.82 crores. On Sunday the movie just did an awesome business and earned total Rs. 36.40 crores.